Effective Microorganisms® And SCD Probiotics - Wow! Effective Microorganisms® And SCD Probiotics – Wow! To most people, I say look no further. If you had to choose only one product to bring into your garden, this would be it. The benefits are many, especially reduced pests and dramatically improved plant health. It’s the first inoculant I recommend for almost everyone. I’ve seen so many gardens benefit from using it that it has stayed at the very top of my list for many years now. First, a little terminology. The original was called Effective Microorganisms®, known as EM® for short, and it’s still a good option. Many people, including myself, tend to use “Effective Microorganisms” and “EM” as generic terms to describe many different brands of similar products that exist, but technically those terms are trademarked by EM Research Organization, Inc. But there’s a newer product on the market made by SCD Probiotics that I’ve gravitated to called ProBio Balance (formerly SCD EM Original). 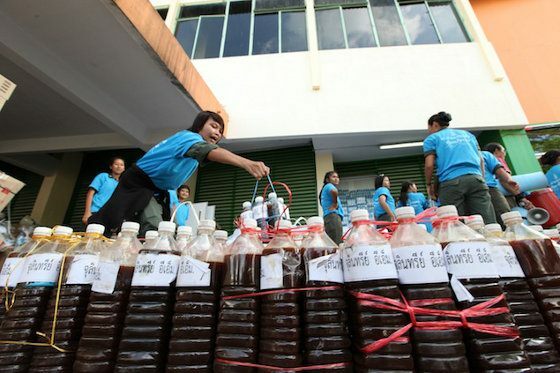 Effective Microorganisms being used after a flood in Bangkok to help clean water, control odors and break down toxins. This product brings many benefits in the garden. Reducing pests by out-competing them on plant surfaces and in the soil, so they don’t get a chance to cause damage to your plants. Improving processes from germination to photosynthesis to fruiting, so you get bigger, higher-yielding plants. Helping plants to more efficiently use organic fertilizers, so they have all the nutrients they need to be healthy, and the food they produce is more nutrient-dense. Cleaning up dirty water and removing toxins from soil, plants and even septic tanks. There are thousands of trials that have shown benefits for soil health, composting and overall plant health. Help decrease radiation from nuclear disasters, and toxins and smells from other natural disasters. Disinfect buildings and hospital surfaces. Spray on farm animals (and pets) to control odors and diseases, and to increase their overall health. Make a special fermented compost called bokashi that is really useful for composting your food scraps. On top of all that, it’s an incredible probiotic for humans. It especially helps relieve digestive issues and cold and flu, but there’s a long list of other things it can help with, such as curing skin problems and healing wounds and all kinds of other fascinating stuff. It’s helped me, my dad and my sister with all of these issues, and many of the hundreds of clients who bought if from me when I used to sell it in Canada. I’ve heard of some holistic health practitioners selling it for hundreds of dollars a bottle to their patients, just because it worked so well. I truly believe it’s better than most probiotics on the market for human use, and for a much better price. But back to the garden. These products are actually used in over 150 countries around the world. Again, my customers who used them on their lawns and gardens over the years are the ones who really convinced me of the benefits – especially much healthier plants, fewer pests and increased yields. SCD Probiotics is the company name, and ProBio Balance is their flagship product. It’s similar to the Effective Microorganisms product EM-1. Like the original EM-1, ProBio Balance is made by people who studied under Dr. Teruo Higa, the Japanese professor of horticulture who formulated EM in the 70s and 80s. What Dr. Higa found after much experimentation was that if you bring together this specific selection of helpful bacteria and yeasts in the right proportions, they have a tremendously beneficial impact in a garden. Microbes are responsible for feeding and protecting plants as well as improving the soil, and these guys just happen to be especially good at it. Most of these beneficial microorganisms are fairly common fermenting organisms such as those found in wine, yogurt and bread, but they have to be mixed together – in the right proportions – to offer the benefits I’ve been sharing. That’s why the labs that make it need to have a lot of equipment and a lot of knowledge, and it’s why we can’t make it on our own. By the way, be sure to read the comparison to both compost tea and mycorrhizal fungi on the right side of the page. Whereas compost tea quality is highly variable, EM and Probio production is tightly controlled in the lab. The benefits of these products are often so impressive that I have to remember not to imply that the products are magic bullets that will have an explosive impact on all gardens. But with regular applications, the results are can be astonishing, especially on gardens that aren’t yet optimally healthy. 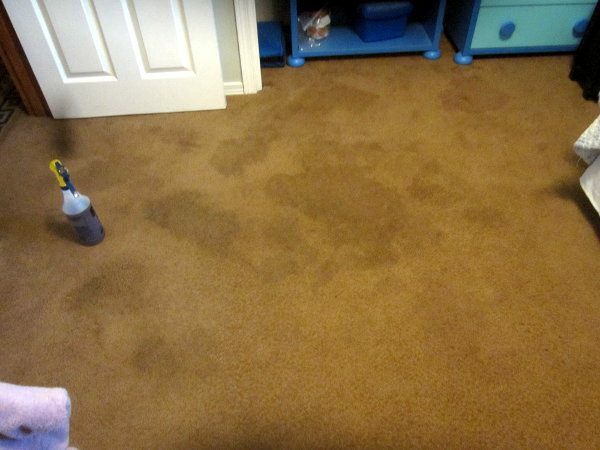 That lack of health can be for many reasons, such as when the soil had been overworked by construction equipment at some point, for example, or when chemicals had been sprayed in the area in the past. In a healthy, relatively untouched ecosystem, these organisms are already going to be there, and while EM/SCD might still be helpful in this case, it’s in the degraded ecosystems most of us are dealing with where the benefits are much more visible. I’ve seen rather sickly lawns and gardens transformed into much healthier, fuller landscapes after one season of monthly applications. I’ve never seen the results that were obtained in some of the early EM trials (e.g. 50% increase in yields) and I would never expect gains that huge with any product, but I often see an overall boost in plant health and vitality, and a decrease in pest problems. So I recommend everyone should try this product. It may actually be a magic bullet for you. If you’ve been using quality compost for years in your garden, you may not see as big of a change, but I still recommend a 1 quart bottle of the Bio Ag as being a very affordable product to try just to see what happens. I make and use compost every year and yet I still use this SCD Probiotics monthly in the garden, just to be sure. Plus I use it for many other things – a probiotic for myself, to control odors, to clean kitchen surfaces, to remove rust – all kinds of really helpful uses. If you’re interested in picking up a bottle of the product I use, there are 2 options for what you can get. 1. The first is called ProBio Balance Original and it’s a ‘mother culture,’ so it’s been created in the lab to very specific specifications with all of these species of beneficial microbes. What that means for you is although you’re welcome to use some of it right away, you can also mix some of it with molasses and water to create 20 times more than the original bottle. That process is called ‘activation’ and takes at least a couple of weeks to do well, but it’s a great way to save money, especially useful if you have a bigger area to cover. 2. The second option is called Bio Ag and it’s already activated. That means the lab has taken the mother culture and activated it for you. You can’t reliably activate it further, but you can use it right away in the garden. If you have a regular not-too-big residential garden, you may only need a 1 quart or 1 gallon bottle for the year anyway, so it’s easy just to go that route. Personally, I go with option 1 in order to save money and because I enjoy the process of activating the mother culture, but some people go for option 2 to keep things simple. A few years ago, I went through a bunch of research that had been done with Effective Microorganisms in agriculture. While the application rate for home gardens is often recommended at 500ml per 1000 square feet, I noticed they were using much less in agriculture. 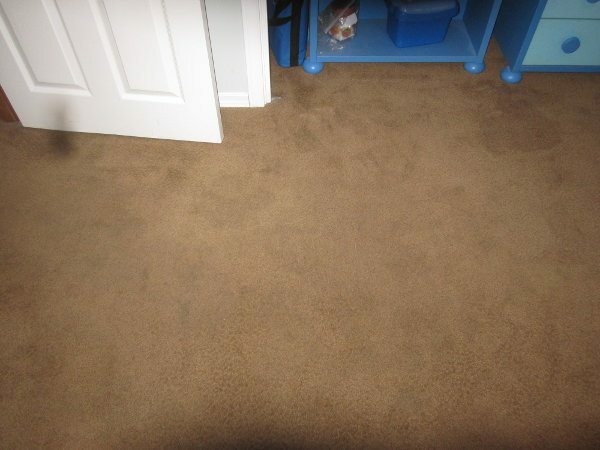 It often worked out to about 1 quart per 1000 square feet per year. So I settled on close to that. These days I use 1/2 cup per 1000 square feet, monthly during my whole growing season (regardless of whether I use the mother culture or the activated product). I end up using it about 8 times per year. So for me 1 quart would do about 1000 square feet for a whole year (8 applications * 1/2 cup), and 1 gallon will do 4000 square feet. If you buy the Probio Balance ‘mother culture’ and ‘activate’ it with molasses and water, you can make 20 times as much, so 1 quart will ultimately cover 1/2 acre and 1 gallon will cover 2 acres. pH paper in the 3-4 range is helpful for figuring out when the activation is done – as soon as the pH is 3.7 or below, you’re good to go. Whether you use the mother culture or the activated product, mix it with at least 250 times as much water, which is 1 Tbsp of inoculant per gallon of water, or about 8 gallons of water for each 1/2 cup of inoculant. If possible, use more like 500 times as much water, which is 1/2 Tbsp per gallon of water, or a little over 15 gallons of water for each 1/2 cup of inoculant. A hose-end sprayer comes in really handy to get these dilution rates. Personally, I just use a 1:250 ratio because that’s a little easier with my sprayer, but if you’re spraying sensitive plants, it may be better to go with the 1:500 ratio. I’ve never had any issues, but in theory it’s better to avoid spraying flowers that are in bloom because it could harm them – perhaps because of the acidity, I’ve never been sure. Both Probio Balance and Bio Ag are great mixed with molasses/dextrose, liquid seaweed, liquid fish and sea minerals. They also go well with compost tea and mycorrhizal fungi. When I’m brewing compost tea, I’ll actually put 2 Tbsp into the 5 gallon bucket during the brewing process, and then I’ll add the rest right when I’m ready to spray. When you buy a quart or gallon of ProBio Balance Original (the mother culture), you get enrolled into my online course where I show you a detailed effective microorganisms recipe for how to activate the culture and make 20 times more than the original. I also teach you how to do EM bokashi composting. It’s about 50 minutes worth of videos. When you buy a gallon of Bio Ag (the activated product), you get enrolled into my online course that’s more of an introduction to this category of inoculants. It’s about 30 minutes worth of videos. If you buy the mother culture, you can turn it into 20 times as much. You’ll get more advanced instructions as part of the bonus above, but here’s the basics so you know ahead of time. You don’t have to do it all at once, but when you’re going through the process it often makes sense to make several bottles at a time. You can use any size container. I’ve used a quart bottle below, but you can multiply the ingredients out if you’re using a bigger container. Add hot water (like a very hot bath) to a 1 quart plastic container until it’s about half full. Dissolve 2.5 Tbsp unsulphured blackstrap molasses in the water. Add 3 Tbsp mother culture to the water. Fill the rest of the bottle with more warm water, but leave a little air space on top. Shake/stir well, yet gently. Screw the lid on the bottle. Put it in the warmest part of your house. You can do this at room temperature, but it will take 6-8 weeks to finish properly. I put mine in the oven with the oven light on, at least for the first week, but make sure to leave a note on the oven so the inoculant doesn’t accidentally get cooked. 90-110 degrees Fahrenheit is best. After 2-5 days, gases will start building up in the container, so you’ll have to ‘burp’ it daily by simply unscrewing the lid and then screwing it right back on. Your activation is done when the pH drops below 3.8, which can happen in a week if you kept it warm. Once you’ve done it a few times, you might be able to tell just by the smell and taste, without measuring pH. As I say, there are more advanced instructions as part of the bonus course you get when you buy the mother culture, but that’s a good start. Based on the principles of Effective Microorganism applied science started by Dr. Teruo Higa in Japan. As a free bonus when you order today, I’ll also enroll you in my Effective Microorganisms course. Just choose the product that works for you and click ‘Add To Cart’ up above! *Note: The ProBio Balance ‘mother culture’ can cover a lot of area, but it’s best if it’s ‘activated’ first by mixing it with molasses and water and then letting it ferment for at least a couple of weeks, kind of like a sourdough or wine. You can certainly do it, but I just wanted to be clear about that. Effective Microorganisms, EM, and EM1 are registered trademarks of EM Research Organization in Japan. TeraGanix is the exclusive distributor for EM Technology in the US and Canada. Do I have to make one huge batch at once with the mother culture or can I make several small batches throughout the summer? If I have to make one big batch, how long can it sit without going bad?My soil is pretty bad, I have clay. I’ve been working it 9 years and while they have gotten better, they aren’t nearly as good as a friend we call the Green Giant because his garden is phenomenal….beets the size of a kickball and not woody at all! I really hope this makes a difference. You can make many batches. The mother culture lasts a good couple of years. Once you make a batch, it’s good to use it within a couple of months if possible.Sounds like you need to also send a soil sample to an organically-minded soil lab and have them give you some fertilizer recommendations in order to balance the nutrient ratios, which can have a big impact on your clay soil. Would you suggest some US labs?Are these much better than extension service test? I do not see a soil lab listing on their website any longer. The prior link is removed but I did look around and did a search. Is there an updated list. Thanks. Hi Alysa, I’ve updated the above link. Hi Michelle, I found a huge plastic protein powder jar (about 6 L) and I am using that to make the EM in. This is my first year using EM, and my 2nd year using Sea Crop. I am expecting a bumper crop of course. We’ll see how it turns out in a few mos. You have answered a LOT of questions with all the info above, but my question is much more basic: our first gallon of your EM arrived safe and sound today. But it looks like the spout is part of the shipping carton. Do I open the carton and remove the gallon jug or just leave it in the carton and pry off the plastic lid to access the EM? That seems a little weird, but I want to do it right. Thanks. I just leave the carton in place. It kind of holds the shape of the plastic container together. How do I add the mycorrhizal product to my order on this page without making two separate orders? I entered my order which came to $51, but the shipping came up as $40, not the $20 you explained in your shipping section. What is going on? Are you in Hawaii or Alaska? Hi Julie, I just got an order from Ohio and it went through correctly. Make sure your country is set to United States. When making Bokashi, can leaves be used? What others materials can be used? I’ve made it with many different kinds of organic materials. It definitely seems to work best with fine material like sawdust, but I’ve done it with chopped straw and leaves and it worked out okay. I’m in England, so not cheap to get it sent from the US> Can I use Water Kefir instead? You might be able to find it if you search online in England for either effective microorganisms or scd probiotics. Water Kefir will probably bring some benefits – not as much as EM, but worth using for sure. http://www.effectivemicro-organisms.c... appears to be the authorised dealer, but there’s no advertised products for household gardeners on their website. I’ve dropped them an email enquiring as to whether products are available – we’ll see what they say when they reply. Hi: ‘not a terribly experienced gardener but I think I’ll try to order and mix some of your garden “goodies.” I have almost no “lawn” (green grass) but tons of plants and shrubs and even a small area where built raised beds for veggies, herbs and a few flowers too.Here is my question: Recognizing you cannot suggest the product/probiotics for human consumption, I am establishing an “IF Situation.” IF I had a very large dog/animal, say 130 pounds, and she was about 73 years old how much of the probiotic stuff should I feed her, how often and at what strength? At present, she is being given 2 probiotic pills each day on an empty stomach.Also, I do live near the sea/ocean and am anxious to go and retrieve some sea water to use in spraying my plants, trees and earth. I am assuming this should be strained first in case there are particles that will damage or stop up the spray bottle attachment you speak of. Do I need any additional advice or suggestions from you on this topic? To Barbra, I am long time vegan, and my 2 cats I have had over the past 20 years never get sick. I haven’t been sick since I went veggy in 1986. I NEVER fed either of my cats the SLAUGHTERHOUSE CRAP. IT IS POISON! They got/get tuna fortified with a capsule of chlorella, same of ginseng, a sprinkle of kelp powder, moringa powder, same of hemp hearts, I rinse the can with a little colloidal silver, with a few drops of FOOD GRADE H2O2 added . Now I put a few drops of Sea Crop in as well. Once I get the EM, I will add that in small doses too. I also give my cat wheatgrass in a dropper now and again. I also keep a little coconut oil in a dish for her. Dessicated cranberries with yeast too. She loves it. I don’t use doctors, or vets bc I don’t need them. I use PREVENTATIVE medicine, starting with CLEAN FOOD. The food grade product says to take 1-3 Tbsp per day. I tend to do probably max 1 Tbsp most days, and then more like 3 Tbsp if I feel a cold coming on or something like that.Good question about straining the sea water. I haven’t used enough water straight from the ocean to cause clogging, so I never figured it would be an issue, but perhaps you’re right that over time it might become one. I’m not sure though – I don’t strain it. I would like to purchase some ProBio Balance. You mention elsewhere on the site that you don’t ship in Canada. How do I get this product? How can I access the video if I don’t buy the product from you?I’ve been learning about bokashi recently and want to use it along with my worm bins. If you add bokashi compost to the soil do you get the same benefits as using the EM directly, do you get more benefits? What about using bokashi compost that has been eaten by worms? Is that the holy grail of soil inoculants? You can buy the product in Canada at http://www.gardenerspantry.ca Good, finished bokashi compost is potentially more beneficial than just straight EM for the soil because it contains composted organic matter along with the beneficial microbes. The worms do bring their own benefits, too. When would be the best time to start using the Bio Ag around my fruit trees? Do I need to wait until danger of frost is past? Hi Audrey, I’ll paste it in from up above: “Whether you use the mother culture or the activated product, mix it with at least 250 times as much water, which is 1 Tbsp of inoculant per gallon of water, or about 8 gallons of water for each 1/2 cup of inoculant.”You can mix sorghum syrup for use in the garden. I doubt it would work for “activating” the product though – blackstrap molasses is best for that. OK< I just saw the directions above. Can I use some right away and at what dilution? Yes, you can use right away. I’ve put the dilution down below. Hey Phil,I was wondering about using this product on tomato plants. I saw on their website that they recommend not applying this to the buds on flowering plants. Would that be an issue spraying directly onto the tomato plants when they are flowering? Thanks. A potential issue is that the microbes will cause a bit of fermentation of the buds and flowers. I actually have never found this to be an issue, but apparently it is possible. Am gardening on community lot which has had either Septoria and /or bacterial leaf spot in the past. Are there expectations that EM might help prevent infection this year? Also I have used Serenade, Copper and very occasional Daconil in the past. Any recommendations how to apply EM around those preventatives, of course spreading out time of application as much as possible but since Daconyl lets say block pores on the leaf will it also prevent EM from acting? EM can definitely still do it’s thing to some degree. But you’re right, just try to spread out the applications as much as you can. I saw a video where you explain how to brew our own EM, but now I can’t seem to find the video. Also, where do I get a ‘mother culture’? I thought I could brew from a regular bottle of EM. Thank you for your help. Applied ready made EM with rest of the mix you suggest twice. Noted light yellow to the middle of the mostly top tomato leaves, transient period of time which resolved into deeper green. Overall plants look fabulous. Still am interesting does my anecdotal evidence means something…. Cool, thanks for sharing Ellen. Can I use any of the products, especially EM for physiological leaf roll of tomatoes? Yes, you can use them all, especially EM, and many of them can help out in a situation like this. Also, as you probably know, physiological leaf roll is often exacerbated by improper watering or excessive physical damage to plants, so those are things to think about as well. Hi, Smiling Gardener! My interest in the product is as a boost for my compost. My food scraps take years to turn into compost – probably because we have two large recycled plastic composters but only two people to feed them. I imagine we don’t have enough bulk to get the pile hot. Would the BioBalance act as a boost to warm up our food scraps so it wouldn’t take so long to get compost? I’m not interested in making compost tea or doing any other labor and time-consuming process. I mostly just want to have a beneficial use for our food scraps rather than put them in the garbage. What a generous soul you are! Thank you for all the info on your website – I’m looking forward to trying the ProBio, but I thought I should use the Plus – with the extra phototrophic, purple non-sulfur bacteria (PNSB). Is that all hype? Do you not sell it for a particular reason? I’d like to give you the business, so if you thing the original version is good, then I’ll order that instead of the plus. Hi Emily, good question – I don’t really know if it’s hype. I’ve used it before, but in the end I went back to using the Original because I feel it’s more tried and tested and in line with the original EM microbial balance. I’m very happy with it, but I can’t say for sure that the Plus wouldn’t have some specific uses. Thanks for sharing Brian.1. Personally, I don’t do anything to adjust for the rain. Some of the microbes and nutrients will get washed from the plants down onto the soil, which is fine, and some will remain there.2. The mother culture can be stored for a couple of years, and activated whenever you need it, but it can’t be used to activated a batch which is then used to activate another batch which is then used to activate another batch, and so on. I only activate from a mother culture, not from an already-activated culture. That’s what I mean in the book when I say you can only use it once or maybe twice. Make sense? Oh, and a good tip for keeping EM warm while activating… I found an old heating pad (like for sore backs and etc) that has an analog off/low/med/high switch. Keeping it loosely tied around the bottle and set on low maintains the EM culture right in the 95-110 degree range. It took a little experimenting to get it tied in the correct position, and bottle shape/size will affect this, but I found the spot that kept mine at a consistent 98 degrees. NOTE: It seems that the newer heating pads have timers built in that automatically turn them off after a few hours, so those aren’t of much use for this purpose. Ya, that’s a great method. Re: “How much do you need”500ml per 1000 square feet is/was the rec’d rate, however after reveiwing research papers you noted that in agricultural applications that much less was used; often approx. 1 quart per 1000 square feet per year. Perhaps you meant the reverse? A US quart is 946 ml and an imperial quart is 1136 ml, both measures equaling a far higher vs lower application rate? Could you clarify :)? Many thanks. Per 1000 square feet, 500ml per MONTH is often recommend, but I found that 946ml per YEAR is often used in agricultural research.So that’s why I use 120ml per 1000 square feet 8 times throughout the year (8*120=960), rather than 500ml each time. Hope that makes sense. Hi Phil, I received my EM, sea minerals, and liquid kelp and have made one application to my garden. I recall reading that you believe it’s OK to mix these 3 into one spray. Is this correct ? If so, would you be willing to give me a per gallon recommendation for each. Thanks very much…the site is looking great ! No, EM has very specific strains of microorganisms and specific ratios between them, so must be made in a specialized lab. Phil, you wrote “Even though I drink about 1 Tbsp each day of either option 1 or 2 for preventative health (and especially if I feel any little sign of sickness coming on), I can’t promote it as a drink because it’s not technically food grade, so I have this food grade option available for you and it is very tasty.” Can you say what specifically about the first 2 products are not “food grade” and what is different about #3 besides the flavoring? Also, it mentions above that the products may contain yeasts. Can you state which products contain which yeasts? Do you know if they would be in anyway contraindicated to take internally if someone already has issues with candida overgrowth in their body. I have read for instance that S. Boullardi might be a problem for people with compromised immune systems although that reference may refer to someone having a very severe situation. It’s not exactly clear what constitutes a “compromised” immune system. Also, I’m wondering if the added juice might contain enough sugar that it might actually be problematic for someone dealing with an intestinal yeast overgrowth as it might possibly “feed” the candida? Thanks. Hi Neil, for the ‘food grade’, my understanding is that they don’t make it in a food grade facility. I’m not sure exactly what that means, but I know their facilities are clean, so it doesn’t matter to me. But more important, I’ve just learned that the food grade one doesn’t contain the photosynthetic bacteria because they’re not recognized yet in the U.S. as being safe for human consumption (although they are in other countries and I consider them the most important species in the mix!). I may actually stop selling the food grade one soon.The yeast in all of the products is the common Saccharomyces cerevisiae. I expect some nutritionists/dieticians would advise against consuming it and some wouldn’t. Personally, I think advising against all yeasts and fungi for people with candida is a very limited viewpoint of the complexities of the human body. And as for these products, I believe they could be very helpful for a person with candida in their gastrointestinal system.The sugar isn’t a problem because it’s all consumed by the microbes. There’s almost no sugar left in the product.Hope that helps! Hi Phil,Just curious how the microorganisms would be affected, when using a hose end sprayer, and chlorine that is in tap water? I make worm compost tea, and have always thought that tap water is destructive to beneficial microbes, due to that being the common taught idea. Ya, I looked into this a lot when I first got into both EM and compost tea about 10 years ago. Too much chlorine is detrimental to the compost tea brewing process, and probably isn’t ideal for the microbes in EM, but according to my research, the latter seem to handle it okay. I’m not sure exactly why, but even the manufacturer says it’s not a big deal to use chlorinated water for EM activation, but when you look into the compost tea research, they advise against it. Same thing when it comes to application through the hose end sprayer – in theory it’s not ideal, but I really don’t worry about it at all. Hi Phil, I have “pro-bio” and sea minerals from last season. They’ve been mentally abandoned and perhaps suffering in a cool but not freezing partially heated entry. Do you think they will be healthy ?…and will I be able to activate them ? Like I say…they’ve not be submitted to freezing conditions…just sustained “cool” temperature. I’m hoping my neglect hasn’t murdered my “invisible friends” :). They should be okay. pH paper would tell you for sure with the ProBio Balance, but if it smells okay, it’s worth activating. The microbes will probably just be dormant, and activation will get them moving again. Phil, thank you for the information and your positive enthusiasm. Ive been using EM-1 but will buy from you now that I know you sell it.Ive been making activated EM’s from your previous “pantry” site for years with amazing results. One example: One day needing an extra mattress quick, I bought a vinyl air mattress, really cheap, really nasty smelling. And I needed it the night I bought it so had no time for it to outgas. I blew it up and sprayed it with activated EM’s 3x (letting it dry in between sprays) and at the end it had absolutely no chemical smell! I had never seen anything like that.I also of course use it in my garden, drink it, spray the air in my house with it, use it to transform mold on leather, and even added it to my kombucha when it started to seem a little weird, every batch from then on was bright and tasty! I recently added it to a batch of beet kvass to see if the surface mold that so often forms is less, too soon to tell about that.I have two questions for you:Why do you use SCD instead of EM-1?The other question is a bit outside of this topic, its about EM’s ceramic powder. I have taken a 1/2 teaspoon of clay in water off and on for years. I was wondering if I put Super cera powder into the clay/water mixture if it would still be safe to drink. Any thoughts? Hi Gwendalyn, I use SCD products instead of EM-1 just because they’ve been easier to get my hands on in the various places I’ve lived, and I find the company a little easier to work with. But both are great products – I don’t recommend one over the other.As for the super cera powder, I’m not sure if it would be safe to consume. All I know is that the material is quartz mullite powder. Sorry I can’t be of more help on that. Is it ok to add both fish fertilizer and sea salt to activating EM mother culture? It seems to be not recommended for foliar sprays? It’s okay, but one time the guy who makes my sea minerals product found that it doesn’t work as well when combined with liquid fish, so I tend to spray them separately, alternating every month. It’s a very different BioAg indeed – I imagine it’s a fairly common 2 words to string together these days in the farming world. Yes, and the Bio Ag I sell is from yet another company. Does the unsulphured blackstrap molasses come with the product, or is this something I have to seek out individually? I am particularly interested in this product for my 110 rose bushes. Excellent, your roses will thank you. You need to buy the molasses separately. Does anyone have any experience using em-1/lactic acid bacteria in beehives? where do I add my question to all those already at the bottom of the page, Phil? Sticking it in here as part of a reply to someone elses question is probably at most inefficient and at worst will go totally unnoticed. I thought I saw a chart weeks ago with regard to this but now I can not find it on your sight! I don’t have a working computer at home and must use public computers at this time. So I have very little time to devote to getting info as I really need to focus on getting my garden up to speed. increasing yield and most importantly increasing nutritional content of my food crop. It is very late to be beginning to add your wonderful supplements and I want to get the proportions correct and benefit my struggling plants as best as I possibly can. Also, how much molasses ought I add to the BioAg and water combination to spray on my 400 Sq ft veggie garden. I found the info above with regard to BioAg and water but am uncertain if it would be best to add molasses to this combo as I see the BioAg already has molasses in it!? The calculator is here ( https://www.smilinggardener.com/sale/calculator/ ) and it will answer your questions. Yes, it’s good to add molasses to the Bio Ag. I dissolve the molasses in a little warm water first to help it go through the sprayer better. Hi Phil I’ve really been enjoying reading the information on your site, I’ve learned a lot. My question is this, and I’m asking it because u did talk about a ‘mother culture’..ok I had made a batch of kombucha but then was unable to do another batch in time (altho for a while I kept adding ACV to it to try to keep it) I’ve realized now that there’s just been so much time that has passed with it sitting that it’s not going to be able to be used. I was curious tho as the scoby seems pretty thick and not too unhealthy looking, could I use it in my garden in some way? What are your thoughts on this? Hi Rebekah. Yes, I would chop the scoby up into pieces or put it through a blender, mix with at least 20 parts water or even more like 100 parts water in order to make it go further, and water my plants with it. Is this a foliar feed or strictly on the soil? Good for the soil, too, but I use it mainly for foliar feeding. The ProBio Plus is more for septic tanks. I use the ProBio Original for everything else.The balance of microorganisms changes with each activation, so you can’t keep activating it like you do with kombucha (I also brew kombucha and have had the same batch going for a couple of years, but it’s not the same with ProBio). It’s possible to do a second activation from a good first activation, but may not be as high quality, so I always activate from the mother culture. When starting beginning of activating the mother culture, how to activate it with the fish, seaweed, salt mineral, and rock dust? Hello there ! !Greetings from Envicare Technologies Pvt Ltd., Pune, INDIA.We are into waste water treatment plants from last 15 years.Can this (EM) solution use for improving the condition of biological treatment like – ASP ( Activated Sludge Process) and MBBR (Moving Bed Bio Reactor) , Anaerobic , Anoxic STP’s OR Can we use this for commissioning of the plants?? If yes we are interested in procuring this solution, please send us more details on my email id as – director@envicaresystems.com.Waiting for your reply on Urgent basis. Is it okay to use mix the EM with hard water? Can I mix EM with hard water? Yes, no problem Mark. I’ve made a lot of EM with hard water. I have mixed up some EM to treat my soil as part of the spring prep before planting. I have a one-half acre garden that I intend to plant in corn. I am leaning towards an ATV mounted sprayer which is 14 gallons, uses a 12 volt Sureflo pump, and currently has a 100 mesh strainer and three 80-03 spray tips. Are the spray tips proper for applying EM and will it go through the 100 mesh strainers OK? Any other concerns or recommendations you have? Many thanks. Hi Bill, looks like you’re in good shape. For compost tea, they say a 400 mesh filter is sufficient to let through the delicate fungi and bigger microorganisms. You’re 4 times bigger than that with your 100 mesh, so nothing to worry about, and there aren’t any fungi (other than yeast) or bigger microorganisms in EM, so you’re good. The spray tip is fine, too. If you have control over the pressure, 60 PSI is ideal. Hello Phil, I am from Managua, Nicaragua, Central America, and a constant reader of your site. We live in a small farm where we have been working as organically as possible since 2009. Have some cows for dairy products, a vermiculture project and we are growing vegetables with the biointensive method of John Jeavons since 2013. 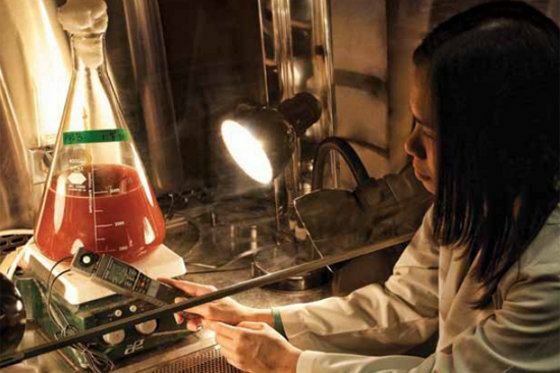 In 2011 I received a course to make Effective Microorganism from scratch. Going into virgin places of the woods and collect them under the rotting leaves. Then with molasses, whey and a source of CHO and water, we make a solid mother, and from this we make another (several) batches of the activated ones, and use it in several activities on the farm, plants, soil, animal, buildings, worms and compost. I always check the pH, for us is three parameters: color, smell and pH. How those this sounds to you? Would like hear your input.I wonder if I can manage to get some of your mother cultures to Nicaragua. Any advice? I raise orchids. Can I mist them with the EM? I also make vermacompost tea but have not used it on orchids. In nature I think they get very little microorganism but I could be wrong about that. Most orchid growers preach fertilize weekly and weakly. I suspect microorganisms are just as important for orchids and anything else. Just don’t spray the flowers directly. I have an issue with early blight rust and powdery mildew since I have an irrigation system. I might have had wilt as well with my tomatoes. I grow organically. Will your product stop this fungus and bacteria?Also should I spray the beds now in the fall before I crooked cover for next spring. I am zone 6.Lastly, my grass is low phosphorus. All other nutrients are good. We have mostly clay soil. Lots of dandelion thistle and other taproot in the grass. Will spraying in the fall and overfeeding help release the phosphorus locked up in the soil? I have grass. You wouldn’t know there is an issue except I did soil testing. EM can be very helpful with these diseases if applied regularly. It can’t be sold to ‘stop’ disease because it’s not a pesticide, but it can improve plant health to the point where disease doesn’t cause problems. Yes, I would definitely spray this fall.EM isn’t particularly known for releasing phosphorus. It may play a role, but mycorrhizal fungi ( http://www.smilinggardener.com/sale/mycorrhizae-for-sale/ ) is more adept at that. Soft rock phosphate and fish bone meal are good sources of phosphorus (note: they will slowly become available over the several years following application). Hi Phil,I saw the lady on You Tube talked about EM for drinking everyday. Do you think you can make it from “Mother Culture” for drinking? If you can, how do you make it? Thank you very much. Hi, so you say the ph of the scd bio ag is around 3.7 or something low like that. I water my garden around 6.2-6.5ph. My water comes out at 8.7ph and then I lower it with ph down from advanced nutrients. I know these ph up and down chemicals can kill living microbes and bacteria, so my questions are 1, can I adjust the ph of my water to 6.3ph and then add the scd bio ag at a tablespoon per gallon and if the ph is still in the 6.2-6.5ph range, feed it to my garden? Or do I need to adjust the ph of my water down to what the scd bio ag is around 3.7ph, and then add the scd bio ag and water my garden with a liquid mix at such a low ph? Wouldnt that potentially harm the ph balance of my soil and shock the plants? Also, if I can balance out my water to 6.3ph, then add the sce bio ag, and if it brings the ph down too far past my ideal range, if I add ph up to the mix, will that kill a bunch of the EM’s? I can dilute the ph up or down chemicals with alot of water before adding to the tank if that would not kill soo much of the living EM’s? You know what I mean? Whats the best way to apply this stuff without harming the scd bio ag’s benefits and not shocking my garden with a mix of very low ph liquid? Thank you for any info!! I want to inoculate my soil to encourage nitrogen fixing. Does EM or one of your other products do that? In addition to legumes, I’m growing a variety of perennial nitrogen fixers such as peashrub, false indigo, golden chain tree, and eleagnus. EM can do a little bit of nitrogen fixing, but what you really want is to buy legume inoculant for your plants. You may also see if you can find azospirillum or azotobacter inoculants. They are nitrogen-fixing bacteria that don’t need a legume host. I haven’t kept up on the research as to what’s available in that realm, though, or how effective those inoculants are. I’ve got 13 raised garden beds that are about 3 1/2 x 10 …the nutrients have been depleted over the years and I’ve added compost two years in a row. I have purchased Boi-ag and Neptunes Seaweed. How much should I use and how often? I also purchased the Chameleon end hose sprayer to use with some adr. Runners Sals Suds and Neem oil for a pesticide. My calculator will help you figure out how much to use ( https://www.smilinggardener.com/sale/calculator/ ). I tend to spray once a month. Thank you kindly, that was very helpful. Have you ever tried putting equal amounts of Br Bronners Sal’s Suds in with the neem oil as a natural emulsifier so it goes through the sprayer better? Hi can I use this product on my tropical fruit trees and my soil ph 8 ? Hi, I purchased the Bio-Ag and Neptunes Seaweed. I have 13 raised beds that are about 3 1/2 x 12 and the soil has been depleted over the years. I’ve added compost but the plants are still stunted and not producing. Going to test the soil but how much should I put in my Chameleon hose end sprayer and what do I set it on? I am new to this. If you mean 3.5×12 feet times 13 beds, then you have a total of 550 square feet, so I would put 1/4 cup of Bio Ag and 1/4 cup of Seaweed into the sprayer, set it to spray 1 Tbsp per gallon of water, and spray away. I just applied some lime a couple days ago…how long should I wait to apply the Bio-Ag, Seaweed and Molasses? No need to wait, Shari. I m in North Carolina and our last frost date is April 15th. Just getting my garden ready and read all of your instructions for using BioAg and then read the directions on the bottle. It says do not use if pH is above 3.9. Our soil pH averages 5.5-7. Should I dilute it more or not use it at all? Thanks for your help! They’re referring to the pH of the product itself. As long as you use it within the next couple of years, the pH will be below 3.9, so you’re good to go. Have you ever tried putting equal amounts of Dr Bronners Sal’s Suds in with the neem oil or Bio-Ag with Molasses and Seaweed as a natural emulsifier so it goes through the sprayer better? Yes. Dr Bronners with neem oil every time, and molasses with Bio Ag every time (but not Dr Bronners with Bio Ag because I don’t want to smother the microbes). Ready to order Bio Ag Probiotic – already activated. Considering purchasing several quarts instead of gallon so the entire culture will not be exposed before I plan to use it. Is this a good idea? Good question, Susan. I wouldn’t worry about it too much. If you were hoping to keep it good for several years beyond the expiry date, it may make sense, but as long as you use it within the next 2-3 years, you should be fine. Which of your products would be best to use to improve the health of our lawn? There’s no one right answer for this. It partially depends on what your lawn is deficient in. Most important is to water sufficiently throughout the summer, mow high, and leave the grass clippings to decompose on the lawn. After that, effective microorganisms can be very helpful, as can mycorrhizal fungi, as can sea minerals fertilizer and liquid fish fertilizer. I would like to try this. Will this kill Monarch butterflies larva or Monarch caterpillars? I should have specified that I plan to use it on milkweed plants. Definitely not. Go for it! Hi–I’m wondering where I might find a list of the specific species that are in EM? Thank you. I included that in the article above under the ‘About SCD Probiotics ProBio Balance’ section. I bought the mother culture a year ago, and I didn’t either ever know how to utilize the further detailed instructions, or never got them. What can you tell me about how to get them? hi, i’m wondering if EM can be used to treat black mold in my home? i would appreciate a swift reply as i live in peru and am having a friend bring some things down for me from the US, so the EM would need to ship soon. thanks! Sometimes with repeated applications it can help, but sometimes not. Sorry I can’t give a better answer. If you do try it, spray the mold every few days with a mixture of 1 teaspoon of EM per quart of water. Can BioAg be used to create Bokashi grains in use of a Bokashi composter? Yes, it’s used the same as EM for this purpose. I purchased the Beginners Package. Applied once. Now three weeks later, garden tower plants are big, strong…and today I noticed a little bug with wings that’s eating hole in my gorgeous pak choy and kale. 1. Should I add the BioAg and liquid seaweed once a month 1tbsp/1 gallon of each? 2. Spray that mixture on leaves and add some to soil at base of each plant? I’m using a turkey baster to deliver water to base of plants and a spray bottle if you say to spray all the leaves topside/underside. 3. Time to add Intermediate ingredients? I LOVE my daily breakfast salad!!! 1. I tend to think about it more in terms of square footage, and I tend to use 1/2 cup of each per 1000 square feet (1 Tbsp per 100 square feet). But yes, 1Tbsp/gallon is good for EM and seaweed, although you can do as many as 5 Tbsp per gallon with the seaweed. 2. Yes, that’s all good. 3. Certainly would be great, but for things you harvest regularly like lettuce and greens, you might want to not use the smelly fish. Just stick with the other products in that case. About a week into fermenting our first EM culture — it has what looks like some whitish bacterial growth on the top. Is that normal, and if not, can it still be used? The PH is still acid — comes out yellow on my PH paper. That’s just the yeast, which is part of the EM. No problem at all. How can I get hold of the Probiotics and your other products in Australia? Hi Phil, I recently bought the EM above. It says on the bottle i need to make sure ph is no higher than 3.9-3.7. Does that mean the entire mixture with water added or just the EM? And how do i adjust the ph safely for an organic garden? Just the EM itself. And if you’re activating it ( https://www.smilinggardener.com/soil-food-web/how-to-make-effective-microorganisms/ ), you want to make sure it gets down to below 3.9 before using it. But when you mix it with water to apply it, you need not worry about that pH. Just received my EM order even with the xmas postal rush it showed up promptly! I have some great uses in store for it, several years ago i applied some Grazon tainted alfalfa hay as mulch, I had no idea it was from another state and not local so be careful if you do not know your where your alfalfa or straw you are going to use as mulch originated i wouldn’t use it, this stuff is death for soil for many years, I am going to try and recondition the soil with an application of EM among other organic materials after 10 years, i had to abandon my original garden plot of many years…. Thanks for sharing, James. Feel free to apply the EM at least monthly. Im gonna get the EM-1 an use it for foliar feeds do i have to get a wetting as well so the plants cant take it through leaves? Personal Question; Have you or do u know anyone who has used these products on marijuana plants, if so what was the results? It’s often mixed with molasses during application, both to feed the microbes and help it stick to the leaves… Sorry, I don’t have any data on how it has worked with marijuana. so much of information here awesome …in india maple sells em1 …there are varieties here like hariyali environ …no much information available here .in india organic molasses are tough to find yes organic jaggery is plenty here. so i tried with it . regarding foliar spray confusion persists i dissolved activated em1 5ml in 500ml chlorine free water and sprayed on rose plant in morning evening the plant leaves turned yellowish some leaves died .put the same spray on mint plant nothing happened . checked ph it was around 3 . yet could not make it out what dosage is better. 1:250 is safer, which is 5ml in 1250ml water. Will EM help reduce Powdery Mildew on plants? It can’t really be marketed as such because it’s not considered a pesticide, but it is worth experimenting with for yourself. Here’s a study with using EM on powdery mildew in grapes. Once the ferment is ready at 6-8 weeks, do I then need to store it in the refrigerator? Also, when making the ferment, if I leave it out at room temperature, do I still need to open it up daily to let the gases escape? Also, how often should this be applied? Weekly, Monthly? It’s stored at room temperature. It doesn’t usually need to be burped anymore once it’s at room temperature. It can be applied weekly or monthly – you just use less when you apply it weekly. Weekly is great, but I tend to just do monthly. Anybody experimented using AEM in the tray media when growing edible sunflower sprouts? We live in Maine. Our home has had a mold problem that we are working to remediate. One of the identified molds is Aspergillus/Penicillium. We have probably 50-60 clay potted plants in our home, many with a sort of white chalky haze on them that I suspect is mold. The mold assessor said it’s not only the pots but what is in the soil. I’m assuming that the PRO-BIO Balance is most similar to EM1. I’m wondering if I were to spray the PRO-BIO on the clay pots and on the soil if it would eat the mold or protect it from growing mold again if I cleaned them first. Any experience with the product addressing mold issues? Yes, sometimes it can be helpful, especially if you’re able to spray weekly. It will still be worth it to wipe down the pots first, but then spray away and also water the soil with it. The Bio Ag may be better for your situation if you just want to mix and spray. On top of that, good compost can be helpful with molds, so if you can find good compost, topdressing the soil with that would be a good idea. Any experience with “Microp”? It is an algae that is marketed as a green manure (nitrogen fixing) that can be used simultaneously with growing vegetables. I am interested in it because of claims it will help with soil texture (I have sandy but very fine soil that is easily compacted). Would bio ag help with soil tilth? I am looking for a more efficient option than always bringing in tons of compost! I’m not aware of Microp. Bio Ag can help with soil tilth, but of course organic matter and nutrient balance are at least as important. One more question… I am looking to make a liquid concentrate with kelp, humates and micronutrients (the micros are quite dilute, under 0.1% each) as an all-purpose soil and foliar tonic. This is to share at my community garden, so I want to prefix stuff, to keep it simple (so that people will actually use it!). Will Bio Ag work pre-mixed with all this stuff (for several months at a time)? I am thinking the humates and micros might be fine, but the kelp could ferment and cause problems. What do you think? Ya, the Bio Ag and kelp won’t do well diluted for a long time. You’d be much better off with an ocean water product like Sea-Crop. Great, Thanks! But kelp and bio/EM can be mixed at the time of application, correct (in watering can, sprayer, etc.)? I plan on using Bio Ag on our strawberry plants. Should I avoid spraying them when they are in blossom? Yes, occasionally that’s a problem, so definitely worth avoiding. My sprayer machine is 10 liter. So what will be ideal dilution? 10ml for 10-liter water? Same for soil application? I use a 1:250 ratio, so 40ml per 10 liters of water. That said, 1:500 is a little safer for sensitive plants, which would be 20ml per 10 liters of water. I am a first time customer of your Bio Ag Probiotic product and am growing mostly vegetables and herbs and reading you suggestions it says to use a 1-1000 rate as a spray to inoculates the soil. I have a two gallon sprayer which would work but am unsure of the amount to mix in a gallon of water. I figured a teaspoon and a half would be correct. My plants are close in a raised bed and I could spray the soil as well the plants but dont read anything about that. I read it is best to use the product morning or evening. Also at this rate how often should I repeat the application? I do more like a 1:250 ratio, but indeed, to be extra safe, 1:1000 is often suggested because there is a slight chance of burning some plants (especially flowers in bloom) at the 1:250 ratio. So per gallon of water, a 1:1000 ratio is 3/4 teaspoon of product (a 1:250 ratio is more like 1 Tablespoon). You can spray plants and soil with either of these ratios. I do once a month at 1:250 and more like once a week at 1:1000. I have some family members who have applied yard chemicals to their lawns. I’m wondering how long it takes for these chemicals to be removed from the soil after applying ProBio Balance original mother culture concentrate? I wish I could tell you, Leanne. It’s true that microorganisms can help break down toxins, but as to which organisms break down which toxins and how long it takes, that probably depends on a number of factors. I was wondering if this product will work in my little keyhole garden experiment. My husband disagree a lot – so the keyhole we’ve started was no different. We split it in half and are doing are own things. He started corn and squash and such from seeds. He notices stuff looked yellowish compared to my super green healthy looking tomatoes, cucumbers, eggplants, etc. that i bought already seeded. He immediately went out and sprinkled chemical fertilizer on his. Now his side is looking lovely and mine is languishing. All blooms feel off tomatoes, yellow looking leaves, something ate the eggplant blossoms. Some kind of fungus looking thing was growing out there a few weeks ago now gone. So….I”m not putting chemicals on mine. Do you think this product will help my little side of the keyhole garden? Thought I’d just try the 12 oz already activated and see if it works. We used cardboard, newspaper, brown sticks and leaves, awesome compost we had made and topped it all with a good top soil from our local garden shop. Feeding and watering through a compost basket in the middle. With that cardboard, newspaper, brown sticks and leaves, compost, topsoil mixture, it’s not surprising that the plants are struggling. It may be a good mixture, but sometimes the first season doesn’t work out great in a mixture like that. Next year could improve. Anyway, yes, this product could very well help. It sounds like it may be a bit late in the season to turn things around, but it’s possible. I would try it, spraying at least monthly, and then you’ll have plenty left for next year, too. And I would mix it with sea minerals fertilizer or liquid seaweed. Great. Thanks for quick response. We will probably rebuild the keyhole next year. We did about 3 ft of the stuff I described as is suggested for keyhole gardening. Why did you say its no wonder the plants aren’t doing well. What would you suggest for next year then, that we didn’t do this year. We were short on green clippings and didn’t have any manure to use, that is all I can think of that we missed. I will do an order and start spraying and hopefully convince my husband that organic gardening is not that difficult. It’s good what you did because it will make for some good soil in future years, but it just needs time to break down in order to become a better growing medium. Good question, John. I haven’t seen any talk of that but it makes a lot of sense to me. I plan on using this in my garden, but have you heard of anyone using this for their beehives? We have 10 hives, lost 6 last year due to pests. Bee supply stores sell probiotics and things for bees, but I’m wondering if this one would be even better than those! Yes, definitely. I don’t know the ratios, but search around online and you will find people talking about it. Hello Phil, I want to ask you if the Probio balance has exactly the same microbial composition as the EM1 and if it is doing the same job. We are using EM-1 in food waste composting for odor control and for the enhancement of compost quality. So do you think that we can get the same results with Probio balance one activated? Also if do you have any information about using EM to improve methane production in biodigester. EM1 and ProBio Balance use slightly different species, but they’re both based on Dr. Higa’s teachings and I use them interchangeably. I found this very easy to make, using the mother culture. My question is — can I use it more than once a month? It’s so inexpensive (and effective, as I am finding) that it seems worthwhile to use every time I water. It does not seem like you can overdose on this stuff, but I though I should ask. Yesterday I told my friend from Germany that we had such a humid year here in Virginia US that I could see my alfalfa/grass mix hay molding in front of my own eyes – never touched by one drop of rain! She gave me the idea to spray the hay bales with EM and said they would look like new afterwards! I can’t remember how many $10 bales landed on our compost pile this year, hay which was delivered in perfect condition. Can Bio Ag (activated) be used in this manner? Will it be safe for my sheep to eat the hay after being treated? How much should I dilute the product if at all? Should I spray the hay even before any mold is visible? Thanks so much. I hope this product is my future hay saver! Can Bio Ag (activated) be used in this manner? Absolutely, it could be very helpful. Will it be safe for my sheep to eat the hay after being treated? Yes, it will be better for them. How much should I dilute the product if at all? I would dilute it 1:250, which is 1 Tbsp per gallon of water. Should I spray the hay even before any mold is visible? Yes, spray early and if possible, regularly (like monthly). Just doing a clean up after a flood has gone through my property. So far questions about possible contamination from faeces contamination including sewerage. What would be the quickest and most effective means of getting the EM on to begin the cleaning up process please. I have unopened EM. I have had a 1 foot build up along the eastern fence line of debris and much standing water and mud which is starting to smell. I would like to spray now and also have molasses but no brew prepared. Like to start turning it around and will probably head away for a few days while it drys out and get safer to handle…compromised immune system. Thanks for any advice I really appreciate it. Hi Marie, you can apply now. Check out the application section on this page ( https://www.smilinggardener.com/sale/effective-microorganisms-and-scd-probiotics/#application ). I will be starting with the BioAg EM in my yard. To start, I plan to use it in my chicken run, where I use the deep litter method (lots of leaves right now!). The EM should help the composting process, I hope. Also, I have the Hudson hose end sprayer. I used your application calculator, and as far as I can tell, I use 2 tbsp in the sprayer container, set the dial to 1 tbsp, and turn the hose on to spray the area. That is, there is no need to add any water to the sprayer container before starting to spray? That’s correct, except that it’s hard for the sprayer to pull only 2 tbsp out, so I often do mix with water to make it work better. And then I may decrease the spray ratio somewhat. Help!! I have gardened organically for the past 50 years. I use leaf, grass, hay, wood chips and straw mulch in NW Montana. I dry, can and freeze all kinds of goodies for my children’s families. I add all kinds of natural additives into my soil, like rock dust and micro-minerals I make lasagna beds in my garden using horse manure and straw. Yet, I have an invasion of Horsetail weed. It comes up in my lasagna beds, compost pile . . . and I keep reading that it doesn’t like futile soil. What am I doing wrong? Am I missing some micro nutrient or enzyme? I use chicken manure tea. Would EM help knock them back? Horsetail is nearly impossible to get rid of. The cool thing is that it’s actually a highly prized plant in the biodynamic world, good for making an organic fungicide, among other things. It tends to favor wet soils, but as I say, you can hardly get rid of it. That said, it shouldn’t have a negative impact on your garden anyway. How can I tell if my mother culture is still viable? Measure the pH. Needs to be less than 3.7. I sell pH paper in the correct range on this page, or you can use a properly-calibrated pH meter. Thank you for the helpful information. I am currently dealing with a whitefly infestation, and after reading a few of your articles I came to realize that if I can improve the soil quality of my plants, that should go a long way in keeping my plants healthy and “pest” free. I came across your recommendation for this product but wanted to reach out and determine if you know whether this product is vegan or not? The reason I ask is that the plants (Tulsi or holy basil) have religious significance and I cannot use products that may be based on animal droppings, eggs, animal fats or by-products, etc. with the exception of milk. Any information you can provide is really appreciated! Thanks in advance. Yes, definitely vegan – and non-gmo. The ingredients are purified and structured water, various bacteria and yeast cultures, organic sugar cane molasses, mineral powder, sea salt, and rice bran liquid extract. 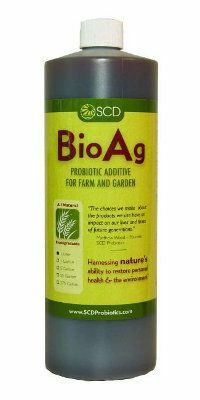 I wish to use the Bio Ag as a probiotic for human use. I have been using it in that capacity straight from the bottle. Should I be diluting it with water or this is ONLY for application for gardening? Personally, I use it as a probiotic for myself, 1 tsp per day straight from the bottle, but I can’t suggest that to other people because it’s not made in a food-grade facility. So technically, it’s not for humans. Will tap water containing chlorine kill the micro organisms in the soil?? What can be done if one doesn’t have rain water or frequent rains. Chlorinated water is BAD NEWS! I haven’t drank it or used it without filtering it out in about 30 years. I have been using RESTRUCTURED (living) water for about 20 years. I am vegan myself and don’t use any animal products in my garden. Everything gets recycled here. Once your soil/plants are healthy the pests will disappear. They only attack unhealthy plants. The same as lower vibrational people (the majority) get sick. So what does one do to water a garden when there are long periods with no rain? With compost tea, we’re brewing thousands of different species of beneficial organisms, although we don’t know exactly what we’re going to get because the process is much less controlled (that’s why we need to use high-quality ingredients, to make sure whatever we do get is good for the garden). With SCD Probiotics and Effective Microorganisms, we’re getting only dozens of different species of microorganisms (mostly fermenting microbes), but we know what we’re getting because the production process is controlled in a lab and we know these organisms are highly beneficial. With mycorrhizal fungi, we’re only getting a handful of microorganisms (very specific fungi in this case), but they just happen to be some of the most important soil microorganisms in the world. So what does this all mean? With microbial inoculants, it can be difficult to distinguish between them because they all bring many of the same benefits. Mycorrhizal fungi are used in the soil and they're arguably the most important microorganisms down there. Compost tea and SCD Probiotics/EM are sometimes sprayed on the soil, but especially right onto plants. They ultimately bring many of the same benefits as each other. The potential benefits of compost tea are probably greater because of the huge diversity of microorganisms, but it costs more and is more work to create compost tea. I recommend EM and mycorrhizal fungi as being the easiest to use, while still offering huge benefits, whereas using compost tea, while still easy enough, is more for the serious gardener who’s looking to go the extra mile. And indeed, when the biology is the main factor that’s deficient in your garden, compost tea can bring unbelievable results if the tea is good.